This wallhanging is a breeze to make. 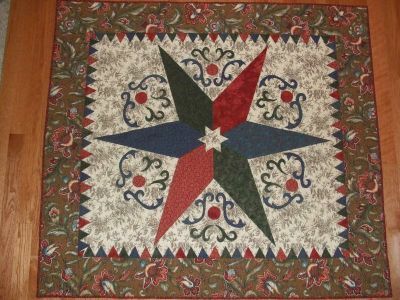 The star, scrollwork and sawtooth border are all done with applique on a single piece of background fabric. 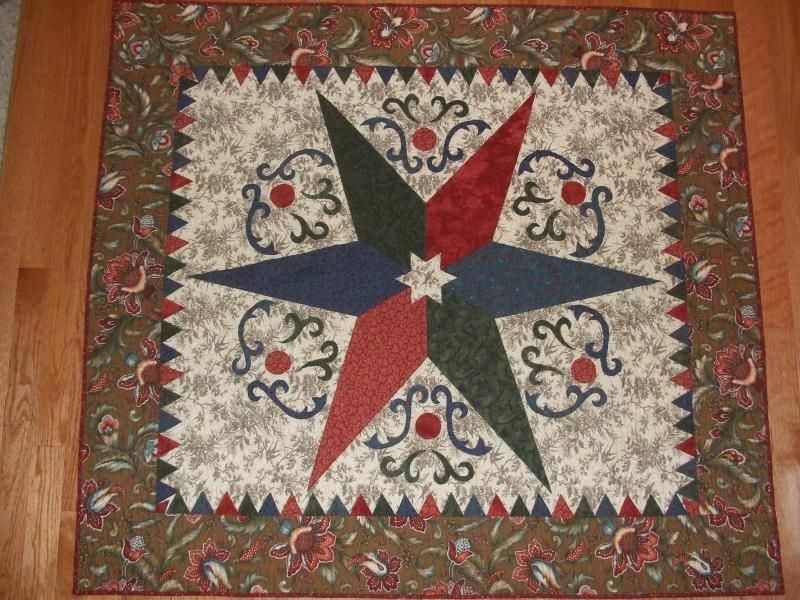 Choose your favorite way to applique or try my favorite way which I explain in the pattern. Finished size is about 46" X 52".